When, after patiently waiting for six weeks for your Garmin Forerunner 405 to be repaired, the first words out of the agent's mouth is "Sorry, Madam...", you know it's not going to be good. And it wasn't. "Sorry, Madam - your unit is beyond economic repair." So beyond repair, it seems, that they didn't even deem it worth anyone's while to return it to me (the guarantee had already expired). So, while six weeks ago I had a broken Garmin; today I have nothing. Boo. We didn't even have a chance to say goodbye. The Garmin Forerunner 310 XT [source]. 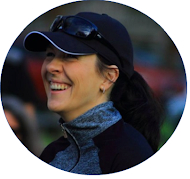 It needs to be able to provide me training graphs, as well as route maps post-run. It needs to be a single unit - no foot pods, etc. to mess with my running gait. I rarely run with a heart rate monitor (chafe city), so that's not a requirement for me. Please, please, please give me some advice! My 16-week training block for my 2014 goal races starts in two weeks' time, and I'd really like a device to train with by then. What would you recommend? Buying the Garmin Forerunner 310 XT at a great price? 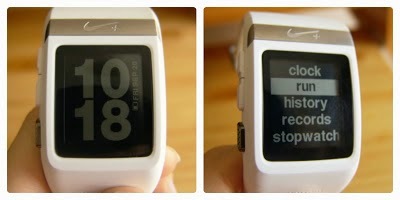 Or rather going for a different make, like the Nike+ Sportwatch GPS, which has less functions, but will still meet all my needs? (The reduced-price Garmin and Nike+ Sportwatch GPS will end up costing me more or less the same.) 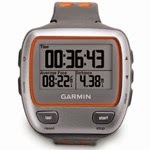 Or save up a bit and buy a higher-end Garmin, like the Forerunner 620? (I'm a bit hesitant that it might also only last me three years, though - call me fussy, but I'd like a multi-grand investment to last a bit longer than that.) Or are there any other good brands at reasonable prices out there that you'd recommend? I use my old nokia N8, works like a charm, i put it in a arm pouch. You can basically get a cheap smart phone (android based), and download any of the running apps, which ever you prefer, I personally use SportsTracker, but there are quite a few good ones. This will tick all your requirements, and automatically upload all your work-outs, and sync with social media, without costing you a few thousands. Thanks very much, Paul - great suggestion. I'll definitely give it some consideration. That stinks. :( I'm not sure what I would do! I love having a Garmin and I don't think I'd want to run without one, but you're right, the one they're offering seems really clunky and if I'm going to buy a new Garmin I wouldn't want to buy an old model. Oh my. Thanks so much, Christy - that's exactly what I'm afraid of. My gut also tells me that a smaller model will be a better option. Thanks, Padre - needed that. Will post on my decision once I've made it. Happy running! Thanks very much, Gordon - I'll definitely have a good look at the review. I've had the Garmin 210, 410, and 405. My first one was the 405 and the wrist strap ended up breaking so I bought the 210 because it was the cheaper option and pretty much did the same thing, but then the distance on that one stopped working so I went to the 410 thinking if I upgraded that the wrist strap wouldn't break on that one, but the wrist strap broke yet again. I still have the 410, but they had to send me the velcro strap so I could change the band. I love Garmin, but as you know it's not cheap for the wrist band to keep breaking, but the latest and greatest one, the 620 has a different strap that seems more flexible. So, if I were you I would go for that one. The only reason I wouldn't recommend Nike is because two of my teammates on my college team had one and their distance was constantly off. Sorry this was so long :). Good luck with your GPS search! Wow, it seems like there's a lot of strap-breaking going on with Garmin! Thanks for the advice, Hailey - much appreciated!